A New York City kindergartner has been blocked from school over her mom's refusal to give her the chicken pox vaccine. 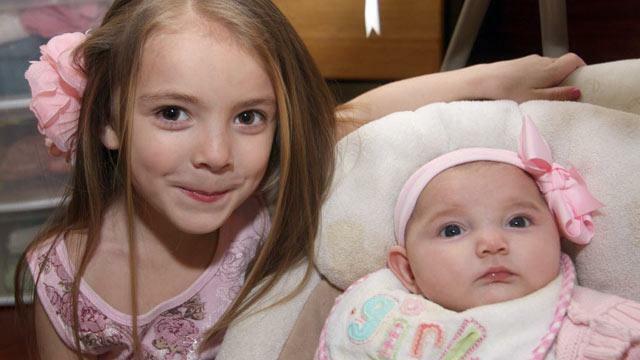 FrankieElizabeth Staiti, 5, is due for the vaccine, which is mandatory in New York City schools. But her mom, Elizabeth, worries the vaccine could put her 14-week-old baby at risk. "The doctor is telling me it could be harmful to the baby," Elizabeth Wagner told ABC News affiliate WABC. "Even if it's a small chance, I don't want to take the chance and give me any other parent that would take a chance with their newborn. I'm not willing to take that chance." Wagner said her pediatrician, whose name has not been made public, won't vaccinate kids with infant siblings. "Obviously, if there are some doctors that don't believe in giving it with a newborn sibling in the home, or any newborn in the house, or a pregnant woman, obviously there's a reason for that," she told the Staten Island Advance. But ABC News' chief health and medical editor Dr. Richard Besser says Wagner received "bad advice." Wagner said she suffers from a hereditary immune disorder that could weaken the baby's defenses against the chicken pox virus, according to the Staten Island Advance. It's unclear whether the baby inherited the disorder. But the U.S. Centers for Disease Control and Prevention still recommends the chicken pox vaccine, also known as the varicella vaccine, for children in close contact with people with "altered immunocompetence." "No specific precautions are needed unless the varicella vaccine recipient has a rash after vaccination, in which case direct contact with susceptible household contacts should be avoided until the rash resolves," the agency said in a 2011 statement. Wagner applied to the New York City Department of Education for a medical exemption, but was denied. "The medical exemption was denied after a thorough review with the parent and the student's doctor," a department spokeswoman said in a statement. "Under state law, a student can be excluded from school for not having the required vaccines." Besser said the Department of Education is "right on target." "This woman's pediatrician is not practicing good medicine, and the school should not give a medical exemption," he said. "Medical exemptions should be based on science, and the science here says the best protection for the baby at home is for the child to be vaccinated." Wagner can appeal the Department of Education's decision, according to a spokeswoman. But in the meantime, FrankieElizabeth said she just wants to be in school. "I miss my four best friends," she told WABC.